During the university's homecoming pep rally Friday afternoon, the statue was unveiled and celebrated. 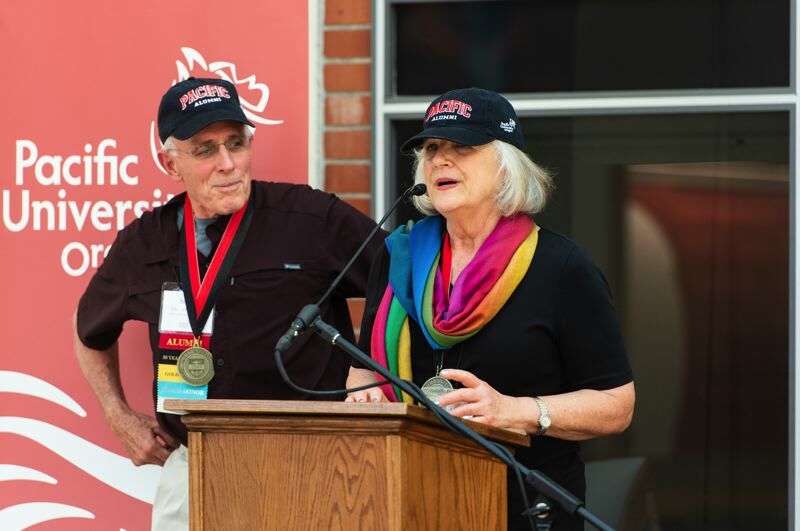 Students, staff, faculty and alumni weren't the only ones welcomed back to Pacific University for homecoming celebrations this week. "Boxer III" also made an appearance during the university's pep rally Friday, Oct. 19, joined by members of the class of 1968. A monumental piece in Pacific's history, the beloved mascot statue, Boxer, was recreated for the second time by artist-sculptor Pat Costello almost 50 years after the original went missing. 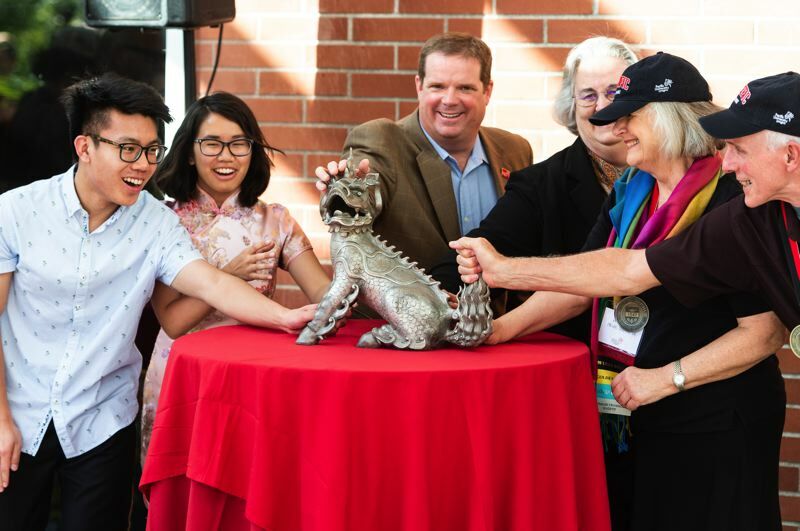 "Boxer was born in China, but when it came to the university campus 122 years ago, it was reborn and brought something new to this campus," said '68 alumna Scott Pike during Friday's event, "a new energy, a new tradition — an exciting new spirit which has continued to grow through the years. ... With boxer, we draw from other cultures and from our own history." The first statue was purchased in China in the late 19th century by an alumnus and missionary, the Rev. J.E. Walker, who is said to have bought it for his mother. 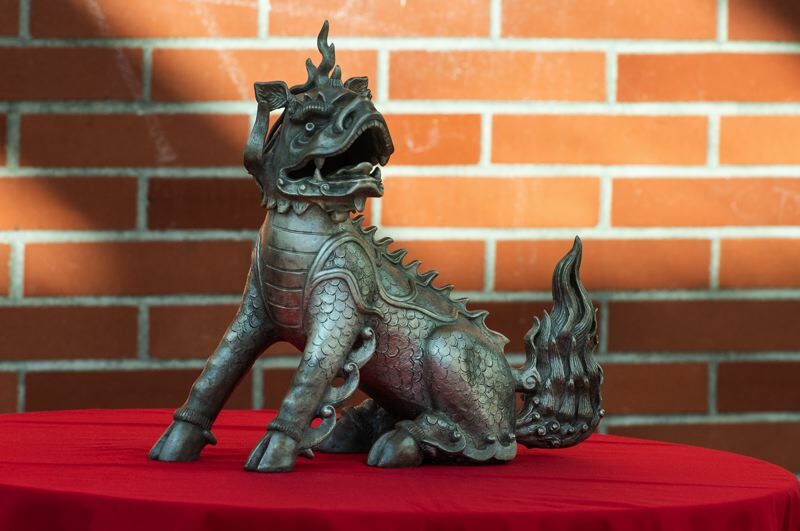 The original bronze statue is the shape of a "Qilin," a Chinese mythical creature that somewhat resembles a dog but has dragon-like scales and the hooves of a goat, with a lion-stance and a unicorn-like horn. Walker's mother gifted the statue to Pacific, and it soon after became an important symbol of the school. "Around the turn of the 20th century, Boxer was stolen by a student from its home in Pacific's chapel, launching a decades-long tradition of 'Boxer Flashes' and 'Boxer Tosses,' where different student groups and fraternities would take possession of Boxer for a period of time," said Pacific staff member Sarah Marks. "Boxer would be 'flashed' periodically to display who had current possession of the statue, and would be handed over to a different group during a 'toss,' which typically resulted in a huge scrum of students scrambling to gain hold of the statue." Over the years, as different groups and individuals acquired the statue as part of the tradition, it went missing, it was broken and mended many times, but it always made its way back to the campus eventually — until 1968. Months after Pacific officially adopted it as the school mascot, the statue went missing for good, and it wasn't until the 1980s that Pacific alumni commissioned "Boxer II." Eventually, that statue disappeared too, and the campus tradition finally fell by the wayside. 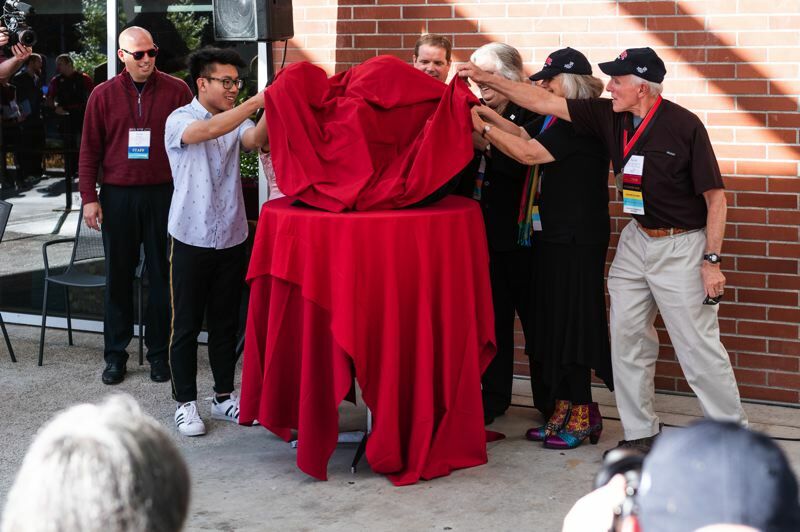 This year, on the 50th anniversary of the year the original statue disappeared, alumni and friends of Pacific came together one more time to raise the money to commission a third statue, created by the same artist who made the second one. "Despite Boxer's legendary kidnappings, assorted missing body parts, and exotic travels, his inimitable spirit continues in perpetuity as symbolized here in 'Boxer III,'" said alumna Monica Marvin during the dedication. "The alumni and friends who supported the commission of 'Boxer III' did so to commemorate the respect and great pride of this magnificent symbol of Pacific's ethos." Using photos of the original sculpture, and broken pieces that have been acquired over the years, the newest Boxer statue looks strikingly like the original. "It's kind of amazing how it came full circle since the 1980s when I made 'Boxer II,'" Costello said. "This time, I had a whole lot more documentation from the original, so I feel like it's a lot closer in form than the 'Boxer II' was. I really enjoyed the process." The statue was revealed at the end of Friday's pep rally, as onlookers cheered in an important moment in Pacific's history. "Thanks to the dedicated work of a driven group of donors, today's students, faculty, staff are now connected to that past — to our alumni, connected to Boxer spirit, connected to Boxer pride," said head football coach Keith Buckley. "While this third chapter will be very different than those who helped 'Boxer I' and 'II' long ago, we look forward to integrating 'Boxer III' into today's Pacific experience. We will carry that Boxer spirit with us as student athletes, as fans, as Pacific Boxers."